I have been myself thinking recently what I wear at home and realised it is great to be comfortable but still look nice. And these type of items are great especially when you can use them over holidays and feel lovely and cosy. I love this gorgeous soft set which you can also buy separately as top and trousers. And what else to match it with than these warm and most comfortable slippers. V posledni dobe jsem premyslela o domacim obleceni, ze vlastne neni na skodu si poridit neco pohodlneho a zaroven hezkeho. A myslim, ze tento typ darku by udelal radost spouste z nas a obvzlast v dobe svatku, kdy se clovek chce v necem teplouckem zachumlat pod dekou. Strasne se mi libi tento komplet, ktery se da koupit i zvlast jako top a kalhoty a samozrejme k nim by byly idealni tyhle teploucke papuce. Lovers of luxury skincare products and beauty products will definitely fall in love with a good quality serum by Esthederm. It has got great effect on dehydrated skin and also sorts out your tired looking eyes. 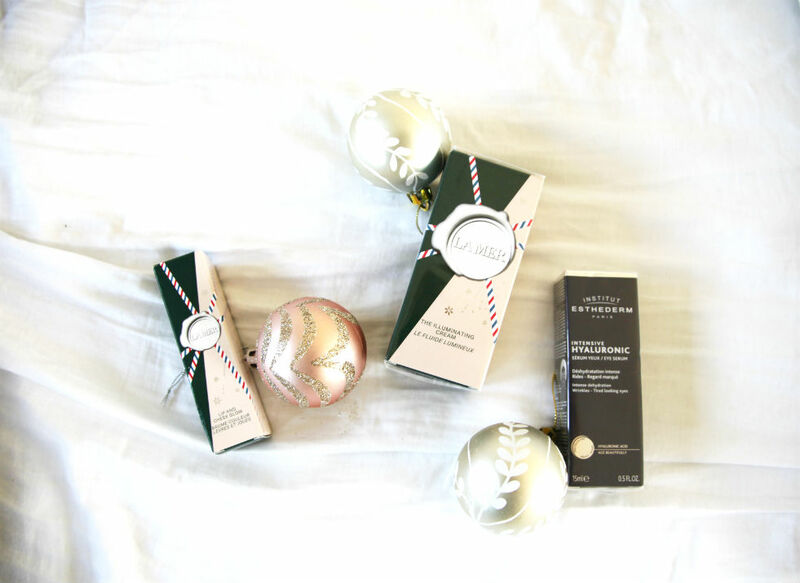 You also cannot go wrong with the two La Mer products that will surely create lot of smiles. Anybody would appreciate the festive looking boxes too. Milovnici luxusni kosmetiky si urcite zamiluji tohle skvele serum od Esthederm a nebo take uzasne produkty od La Mer, ktere maji i Vanocni baleni. Kvalitni kosmetiky v krasnem baleni neni nikdy dost. Women in my family just love getting pyjamas LOL so for me that is a must to include it in any gift guide. This gorgeous printed pj’s in grey colour looks very timeless and chic. I know lot of people would appreciate these boots that are the most comfortable thing on this planet and to be fair even Londoners should have a pair as the last few winters were much colder and the snow always surprises everybody. And who would not love to find a cashmere under the Christmas tree? I think this grey jumper is adorable and you can easily wear it at home or out. It is so warm and soft that there is not a reason why not to love it. V nasi rodine vzdy frci pyzama jako darek a hlavne kdyz jsou hezke jako treba tohle sede s potiskem. Libi se mi na nem, ze neni nudne diky potisku, ale zaroven je diky barve jednoduche a nadcasove. A spousta lidi by urcite ocenilo tyhle teploucke boty od Emu Australia a dokonce i Londynane, protoze poslednich par let tady byla mnohem tuzsi zima a nikdy na ni nejsou pripraveni. A uprimne ktera z nas by se zlobila, kdyby ji pod stromeckem cekal kasmirovy svetr? Tento sedy je opravdu jednoduchy a muzete ho mit jak na doma tak i ven, prestoze je podle stranek urceny jako domaci odev. 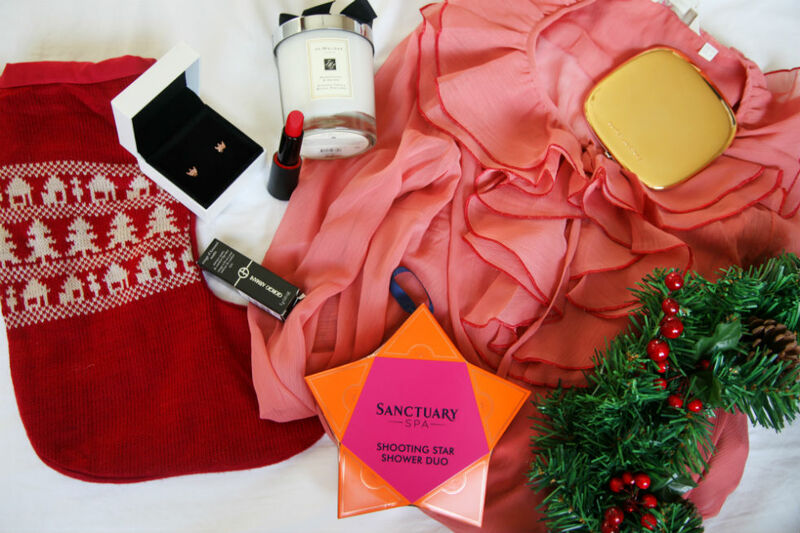 It would not be a gift guide without a perfume, gorgeous lipsticks and also some very luxurious item like these stunning velvet Manolo Blahnik flats. I have also been enjoying those Nars eyeshadows and think they would make a fantastic stocking filler or create a smile on any women when they open their present. And this DKNY set is brilliant as it can be used as pyjamas as well as some cosy clothing for home. As you can see I am a lot this year about looking good at home and feeling great. And of course I had to include some underwear. This year surprisingly I decided to go for these Calvin Klein knickers again to promote comfort. You know I adore lace but thought these would be a great everyday item for any woman. A nebyl by to ani poradny darkovy pruvodce, kdybych nezahrnula nejake parfemy, krasne rtenky a taky alespon jeden velmi luxusni kousek jako tyhle nove boty od Manola. Ja jsem v posledni dobe take dost pouzivala tyhle ocni stiny od Nars a ty by se prave hodily jako mensi darek do Vanocni puncohy. A samozrejme ze neco jako tento DKNY set by udelal radost zenam, co maji radi znackove pyzama ci domaci obleceni. Jak vidite letosni pruvodce je o tom se citit dobre i doma. A v neposledni rade nesmim zapomenout na spodni pradlo a doporucuju tyhle jednoduche kalhotky od Calvina Kleina. 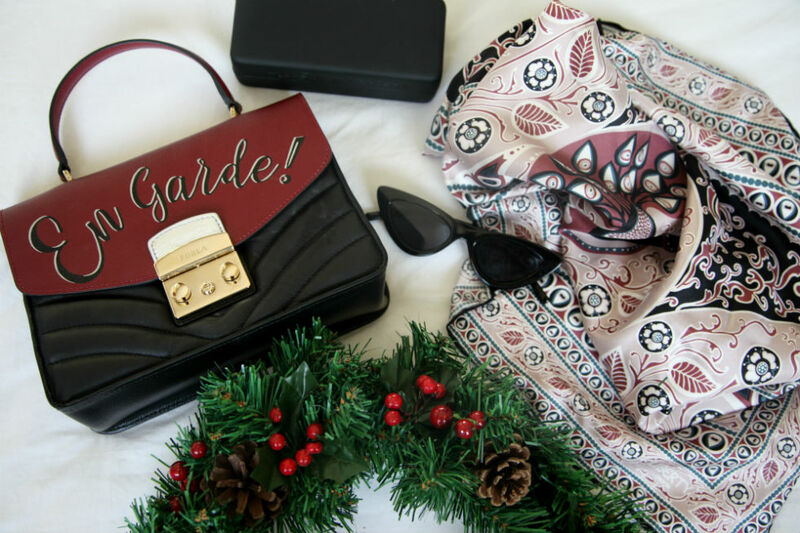 Accessories are always a great idea as a present. These items can create totally different look, you can get lot of wear out them and also they can be more luxurious or high-end. I picked items that I have been really enjoying myself and hope these could bring a joy to any of you. Firstly this Furla bag that is fun and although it is higher price point than high-street it is still not the level of really top designer and are well priced. Great quality piece, lovely size and so fun and practical. When it comes to sunglasses they are also a great gift idea and this year I would love recommend these Le Specs as I have been wearing them non stop. They really do go with everything. And last but not least is a luxurious scarf like this one. Perfect gift for any generation as who would say no to classic silk and super quality item like this? Doplnky jako darek jsou take skvelym napadem. Jsou to veci, ktere dokazou zmenit celkovy outfit behem vteriny a muzete je vynosit opravdu hodne. Ja jsem letos do pruvodce chtela zaradit veci, ktere sama rada nosim. Nejprve bych rada zminila tuto Furlu kabelku, ktera je drazsi nez treba kabelka z bezneho retezce, ale zaroven mnohem levnejsi nez designerska kabelka. Je zajimava, ma skvelou velikost a prijde mi i hodne prakticka. Dalsi veci, kterou mohou doporucit jsou tyto Le Specs bryle, protoze jsem je sama nosila opravdu hodne a stejne jako u kabelky jsou sice trosku drazsi nez nejake high-street bryle, ale zaroven ne tak drahe jako luxusni model. A v neposledni rade muzu doporucit tento hedvabny satek, ktery ma spoustu vyuziti. Kdo by si nezamiloval kvalitni satek, ktery jde nosit jak na krku, tak na kabelce ci ve vlasech?! I wanted to chose this year some cute winter dresses and the maxi dress together with the green lace dress is definitely a good option. I totally fell in love with both. 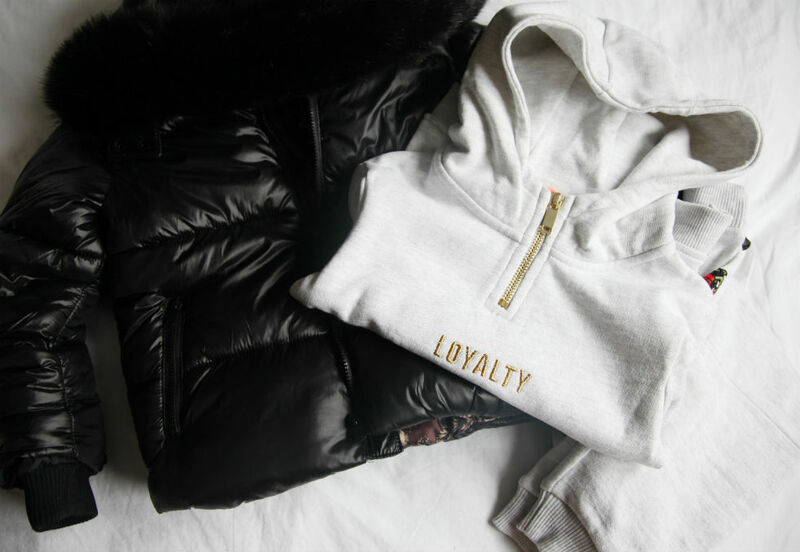 Imagine all the winter looks or sassy party outfits you can create. I also thought that luxury beauty products like the 24 Karat gold mask and good quality tan product may be a great present. Not only they are great quality but the gold packaging makes them perfect and festive present. Tento rok jsem chtela zaradit i par veci jako saty a vybrala jsem tyhle maxi saty a take kratsi zelene saty, ktere se hodi na prosincovou spolecenskou sezonu. Ja jsem si zamilovala oboji. A take nesmim zapomenout na kosmeticke produkty, ktere nejen ze maji krasne zlate baleni a pusobi tak velmi Vanocne, ale zaroven jsou i velmi kvalitni. Nedavno jsem poprve vyzkousela masku s 24 karatovym zlatem a take samoopalovaci produkty James Read. 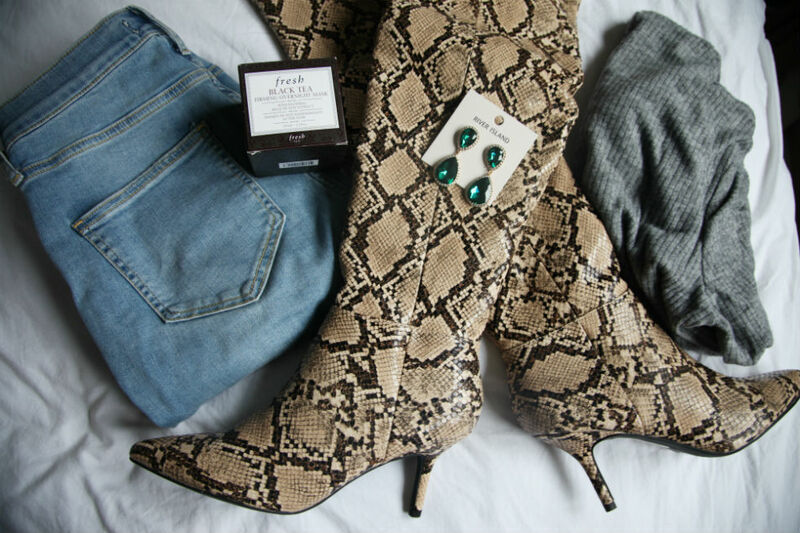 The snake print over the knee boots may be a very bold choice but for somebody like myself that love to combine timeless items with more trendy pieces it could be a wonderful present. And if you want to go for more safe option a good pair of jeans and a simple knit could be a good idea. If you buy simple things like that you can be sure these items will be worn on a daily basis. And if you want an affordable glam small gift or a lovely stocking filler why not to go for stunning earrings like this.?! Hadi kozacky nad kolena jsou asi extravagantnejsi darek, ale pro nekoho jako ja, kdo kombinuje trendy s klasikou jsou zajimavym darkem. A pokud chcete spise nositelnou klasiku, muzete zvolit teply top ci svetr nebo treba jednoduche dziny. Ty muze kdokoli nosit denne a budou se hodit. V pripade, ze vas nenapada zadny cenove dostupny mensi darek, tak co treba nausnice z bizuterie, ktere se budou hodit na vecer. Tyhle se mi treba libi opravdu moc. I hope you find yourself something you like and that your Christmas shopping will go smoothly this year. A v neposledni rade jsem vam chtela ukazat dve veci i pro Liamka, kdyz uz jsme u te mody. A tou je tahle bunda a teplakova souprava. Ja mam podobne soupravy moc rada, protoze se da kombinovat s vecma, ktere uz ve skrini ma a vznikne pro nej spousta outfitu. A to hlavne v pripade, kdyz vyberete neutralnejsi barvy jako napriklad seda. Ja doufam, ze kazdy si neco nasel a pevne verim, ze vase Vanocni nakupy pujdou hladce. This guide is amazing. I’m in love with that Furla bag!